Does that title intrigue you? If not..you do not have a soul. I’ve left this non vegan recipe on my recipe page, simply because these were the best non vegan cookies I had ever made. For a vegan version of these cookies click here. In a medium bowl, cream together the melted coconut oil, brown sugar and raw sugar until well blended. Beat in the vanilla, and eggs until light and creamy. Mix in the sifted ingredients until just blended. Stir in the chocolate chips by hand using a wooden spoon. Drop cookie dough 1/4 cup at a time onto the prepared cookie sheets. Cookies should be about 3 inches apart. You will know I made the cookies when the chip to dough ratio is abnormal. More chips please! My mom seems to think she made a baking monster out of me..in reality it was blogging that did it! I was proud of the fact that I didn’t eat the cookie dough while waiting for these to bake. I ALWAYS eat at least half the dough..and regret it later. Seriously..I end up feeling like Jabba the Hutt..not to mention I hadn’t had any real food for the evening so exnay on the ookiedoughcay. Color’s of the wind wrapped into a tortilla. 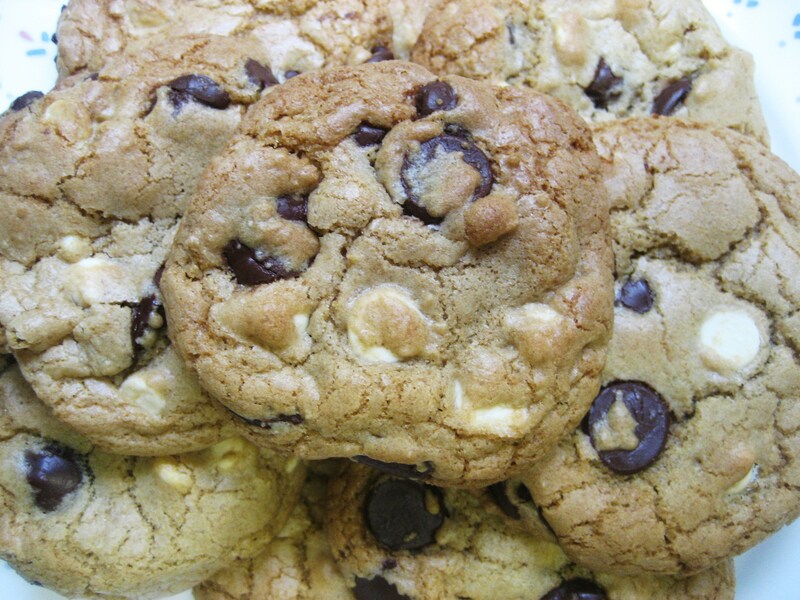 Make these cookies today, you won’t be disappointed. Aha my go-to cookie recipe is very similar 🙂 I love that you reference Disney when creating food!! never used coconut oil before tho…im not a hugeee fan of coconut flavor…but do you really taste the coconut int he cookies? oh and that dinner= amazing. yeah so basically i am replicating your food choices asap okk?! NO! You don’t taste the coconut flavor at all in a lot of the recipes I’ve swapped the oil or butter out. It doesn’t necessarily taste like straight coconut either if you were to taste it..plus it is SOOO good for you..I say give it a try, and if you don’t like it then you’ll know! ORRR you can just use butter instead! Ahh thank you..I would LOVE to..but I am sorta blog challenged and I am not quite sure how to link up to this.. YES PLEASE. you can ship them to me anytime you want. Those look fantastic. I love big fluffy cookies. Thin crispy cookies are just not the same. Your tortilla also look colorfully delicious! You didn’t eat the dough? I didn’t know that was possible. Right!? Normally I promise you it’s not..but I really didn’t want to feel like death..and I ALWAYS do after eating the dough! Yesss I bet GF flour would work just fine with these..I debated using coconut or almond flour..but decided to use whole wheat. If you make em, tell me how they turn out!! send me your email again. I keep losing it. ugh, sorry! This title intrigued me… but I think the end picture of the tortilla wrap ultimately captured my soul and made me mushy inside. You are always eating such tasty food!!! Love it! Lol you sang that song to them, aweeesome! Those cookies seriously look amazing. I need coconut oil! 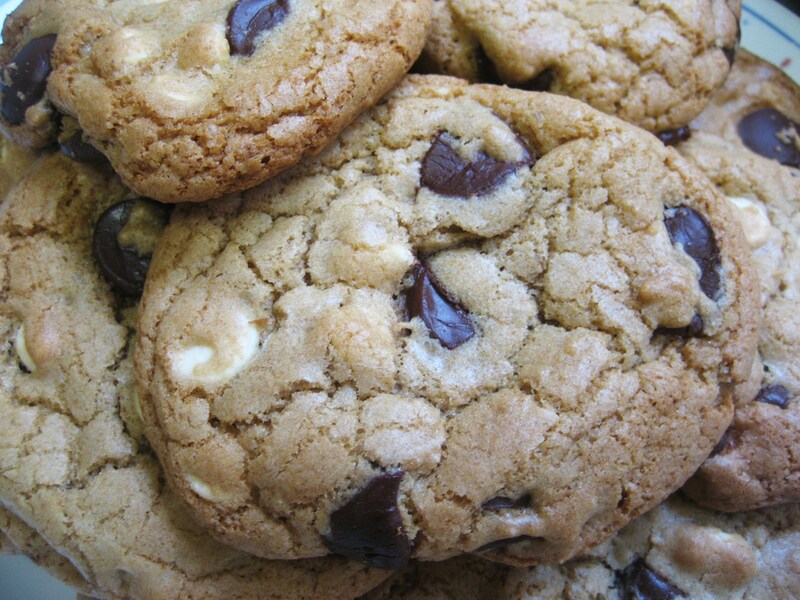 Yes—the cookie title intrigued me, and they are beautiful! 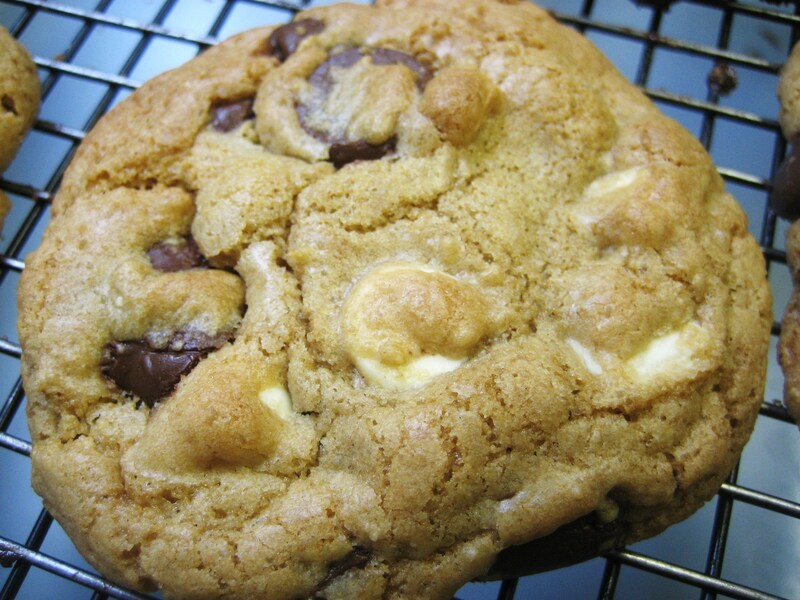 Nothin’ like a big fat chocolate chip cookie! Those look great. Too bad my dough wouldn’t have made it to the oven!